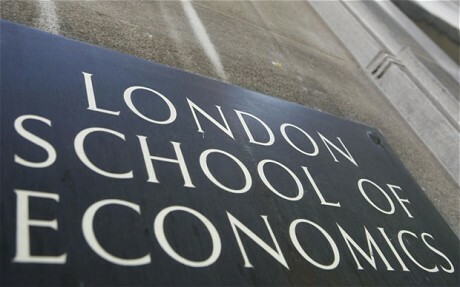 Last Wednesday the London School of Economics and Political Science hosted a three-way debate on the subject of democracy, put on by the Forum for European Philosophy. 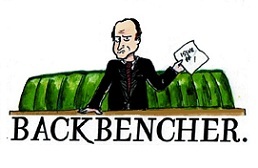 Entitled “The Worst Form of Government?”, an allusion to Churchill’s famous remark, it set out to debate the question of whether or not the democratic system really is the ideal way to govern a country. Unfortunately, what should have been a detailed and provocative debate on one of the most fundamental questions in politics turned out to be little more than a left wing general discussion forum. This was mainly down to the composition of the panel, which was almost as balanced as the Daily Express’ coverage of the EU Referendum. Appropriately seated on the far left (from the audiences’ point of view) was prominent activist and former Communist Party member Beatrix Campbell. Next to her was the host, followed by distinctly left-leaning philosophy professor Peter Hallward. Lastly, University of Kent philosophy lecturer Edward Kantarian sat on the right from the audience’s point of view, and indeed was the farthest from the left in political terms as well, not that that was a particularly difficult position to be in. The “debate” started with each of the panelists outlining their “experiences with democracy”. Campbell started first, discussing her disillusionment with the British voting system and her experience of the Communist Party’s issues in dealing with the reality of undemocratic communist states overseas. This foreshadowed much of the discussion that would follow, focused heavily on the failings of Britain’s own electoral system rather than democracy in principle. Kantarian went next, immediately calling out Campbell on her largely irrelevant discussion of communism before explaining in great detail his experience of living in a country without democracy during his youth in Soviet Romania. Hallward, on the other hand, went back to discussing his own distaste for the ‘neoliberal’ system in the UK and US. In spite of efforts by Kantarian and members of the audience to provoke serious discussion of the merits of democracy, the panel then lapsed, largely thanks to Campbell, into a curious discussion of the recent Brexit vote and whether or not it could be considered an exercise in democracy. What followed was a spectacle of left wing ivory tower superiority that was as shocking as it was self-righteous. Campbell reiterated many of the tired bromides of anti-Brexit reactionaries, talking about the misinformation that proceeded the referendum and insinuating that the entire campaign was about race and not about any of the many serious issues the Brexit camp was in fact heavily focused on. Hallward mirrored much of her comments, talking more about the role of misinformation in keeping populations under control. Comparisons with the Scottish and Quebecois referendums followed, talking more about the issues and feelings in play during those and completely avoiding the question of the value of democracy itself. It was left to Kantarian, himself a strongly pro-EU figure, to point out that claiming campaign misinformation invalidated the referendum means that no election in western history could be considered any more valid. Despite his own sadness at the outcome of the vote, Kantarian appeared to recognise the strong feeling from British people that the result conveyed and defended the intelligence of British voters in making that decision. Naturally he was met with laughter and shock from the largely student audience as the debate lapsed into an argument between him and the other two panelists over the motives behind the Brexit vote. The discussion then continued to its close with an even less relevant discussion of capitalism and the role of government in controlling the excesses of liberalism. While Kantarian again tried to bring the debate round to the topic at hand by describing how democracy is tied with liberty in his view, the other panelists quickly took to characterizing capitalism as a force of exploitation without going into any real discussion of whether democracy is a good way of dealing with those issues. Ultimately the debate completely failed, despite Kantarian’s best efforts, to tackle its fundamental question on any level. Instead, thanks to its overwhelmingly left wing panel, it ended up being a circular discussion of left wing ideology with some criticism of capitalism and Brexit thrown in for good measure. It is impossible to take debates like this seriously when they have such blatant bias as was demonstrated here. 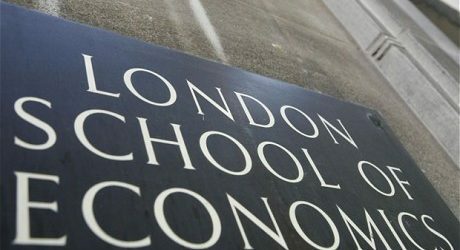 It completely undermines the reputation of an organisation like the LSE to host such a one-sided debate, and the failure of the panel to even stay near the question at hand throws the academic standing of the organizers into serious doubt. The only positive takeaway from the debate was the fact that Edward Kantarian is proof that some of those among the pro-EU lobby are willing to listen to and accept the views of the majority of British people. His presence in the debate injected a seriously needed element of dissonance with the borderline communist harmony among the other two participants. Sadly his comments weren’t welcomed by a large segment of the audience. With one-sided ‘debates’ like this being prevalent in universities today it’s hardly a surprise that the ‘educated’ youth is tending towards left-leaning political views. Universities have a responsibility to educate without bias, and that’s a responsibility in which they are badly failing. This debate was the ultimate manifestation of that failure.